Are you looking to replace your damaged roof in a cost-effective and efficient manner? Are you experiencing leaks and damages to your roof? Are you looking to upgrade to a more protective and attractive rooftop? As a roof replacement contractor Richfield MN, we are what you are looking for! Our company specializes in roof replacement of houses based in Richfield, Minnesota. We offer a wide range of roofing options to our customers. We also take durability, safety, and thevisualof the products that we provide into account at all times. We work with a team of trained and equipped professionals who examine and resolve roof damage effectively. Our team comes from an experienced background. They are able to inspect a roof and maintain it with ease. Our team’s professional experience has mainly been built by completing projects in the areaaround Richfield, Minnesota and they always take the weather and environmental conditions into account when making such important decisions.into account. The asphalt shingle roof replacement is a good option for someone looking for an affordable and attractive roof. It comes in multiple colors and styles and offers your home great protection at the elements. Not only can it be installed immediately, but it adds to the aesthetic appeal and financial value of the property. This is a real Minnesotan classic! Cedar shake is stronger and more durable compared to asphalt shingle roofing. It adds value to your home and provides you with a safe and secure environment for years to come, making it the ideal roof replacement for those who are looking for truelong-term protection from extreme weather conditions. A metal roof replacementis one of the wisest investments you could make. 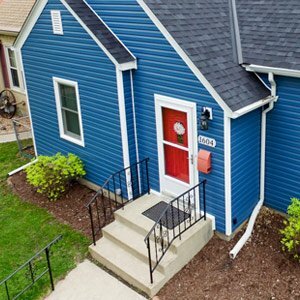 The strength and durability of a metal roof will offer you protection and comfort from any sort of climate you may face in Richfield, Minnesota. It is an investment that you will not regret. A metal roof will be a permanent solution to all your roofing worries! Being fireproof and strong, these are ideal replacements for you if you are looking for safety and security from the Minnesotanweather. As a roof replacement company based in Richfield, Minnesota, we are a great choice if you are looking for a new roof. We can provide you with the very best roof replacement options and help you plan along with a team of highly skilled professionals. As well as our variety of roofing replacements, we pride ourselves on our excellent reputation. We offer free inspections to evaluate any damage or degradation to your roof. We will then make several recommendations as to how your roof should be repaired and then maintained going forward. If you’re happy, our team will book in a day to come and breathe new life into your roof. 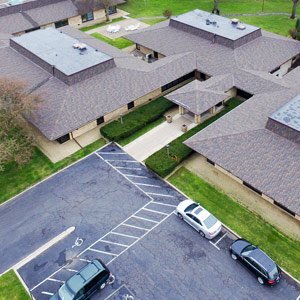 Find out how we can work together to ensure that you are can benefit from a high-quality and affordable roof replacement by contacting us today! Continue reading about Carelessness Not an Option While Selecting Roofing Contractors.